2016-07-08 - Malware-traffic-analysis.net: CryptXXX updated again, now looking more like it did before previous change, also changes back to "UltraDeCrypter". 2016-07-12 - Malware-traffic-analysis.net (today's blog): CryptXXX back to "Microsoft Decryptor" and behavior noted on 2016-07-06. 2016-07-13 - Malware-traffic-analysis.net (today's blog): CryptXXX back to "UltraDeCrypter" and previous post-infection behavior. Found today's "other" Neutrino EK from the Malware Domain List website at: http://www.malwaredomainlist.com/mdl.php. FINAL NOTE: For some reason, today's CryptXXX .dll files didn't execute during today's infections. I used run32dll.exe to load them and saw expected traffic (188.0.236.9 port 443 custom encoded). I didn't include any of the post-infection traffic here, but I made sure to document the decryption domains and IP info. Shown above: Traffic from the 6th pcap filtered in Wireshark. 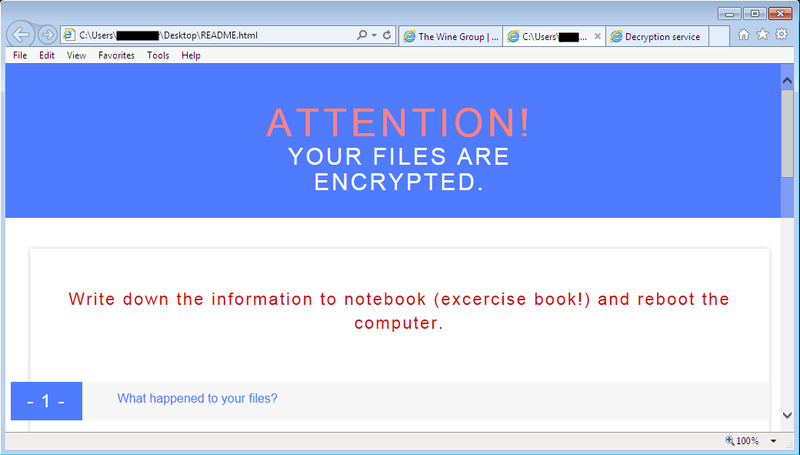 Shown above: Injected script (from pseudoDarkleech campaign) in page from compromised site thewinegroup.com. Shown above: Injected EITest script in page from compromised site scarboroughcricket.ca. Shown above: URLs that kicked off the "other" Neutrino EK that led to Bandarchor ransomware. Shown above: How personal files looked after one of the Bandarchor infections. 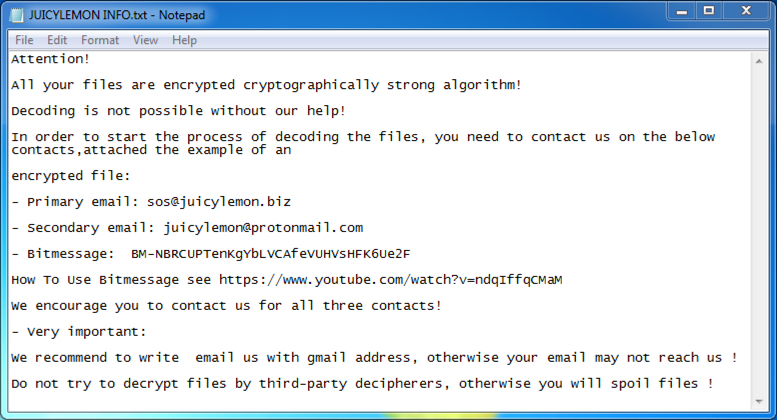 Shown above: Decryption instructions from today's Bandarchor ransomware. Shown above: Decryption instructions from yesterday's CryptXXX sample (2016-07-12). Shown above: Decryption instructions from one of today's CryptXXX samples (2016-07-13).